Chinese Licorice Root in its simplicity is one of the truly great herbs. Licorice Root is said to build energy and is an excellent digestive tonic. It is considered to be a broad spectrum antioxidant, ridding the body of over 1,200 known toxins without any distressful side effects. It helps to regulate blood sugar levels, and helps to counter Hypoglycemia, a very common imbalance. Chinese Licorice Root also provides basic nutrients to the adrenal glands as well. As it has special action upon the stomach and spleen, it is said to help build and strengthen muscle, yet also is considered a muscle relaxer at the same time. 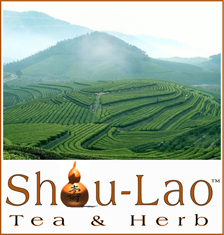 It is very sweet and adds a delicious flavor to herbal teas, and is included in many Chinese Herbal Teas and Formulations because it is said to harmonize all of the ingredients within a formula. 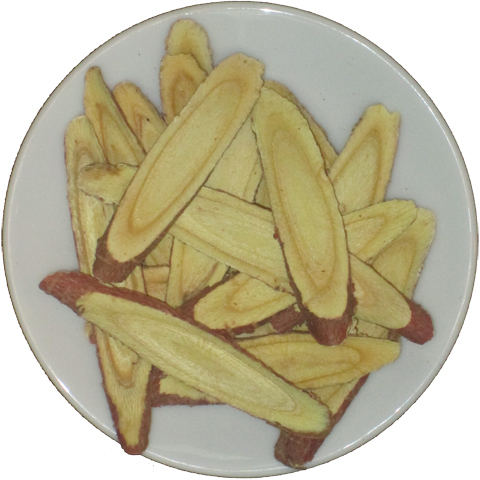 Note: Chinese Licorice Root unlike American Licorice Root, will not adversely affect blood pressure. This is a fact that many are not aware of. But nonetheless Chinese Licorice is a powerful herb and should be used in small quantities. This tea is based upon the virtue and tradition of the "100 Days Of Schizandra." It likewise rests upon the story of how in the Legendary Taoist Master Li Qing Yuen's younger years, he encountered of a very old Taoist Master who very easily out walked him. His longevity secret was that he consumed a tea/soup of goji berries every day. This he told Li Qing Yuen, would help him attain a new state of vigor. These two herbs taken together provide for excellent mental clarity and Yin Jing energy, the material basis for longevity and good health. 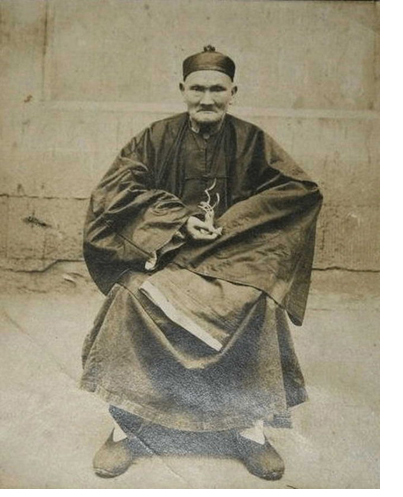 The Legend of Taoist Master Li Qing Yuen reports that he passed away at the ripe old age of 252 years old. Although his exact age has been disputed, scholars have definitely placed him as having lived more than 120 years of age... not bad. All accounts of him however describe him as being very active, with a bright intelligence, and as having fathered constitutionally very strong and healthy children even into his later years. This is the reason why Taoist Longevity Herbalists to this day can be found creating and refining formulas based upon unbroken lineages of Taoist herbal tradition, the implementing of the empiricism of those traditions, and through recalling the rules and idioms the great masters of the past espoused throughout their life and teachings. This tea is considered highly anti-oxidant, anti-inflammatory, is said to cleanse the blood when taken everyday, restore complexion, aid in clearing the skin, help to drain excess water retention, and also will help to gently move digestion. This tea taste very wonderfully sweet and delicious when consumed warm, and when it is cold it tastes like fruit juice. You can return items via mail and some items can be returned to a store with a printable receipt. Items eligible for returns must be new, unused, and contain all original product packaging and accessories. Items must be returned within 12 days. All Health Food / Nutritional Supplement Items eligible for returns must be new, unused, and contain all original product packaging with accessories. These Statements have not been evaluated by the Food & Drug Administration. The products listed on this site are not intended to diagnose, treat, cure, or prevent any disease. All material provided within the Greerink.Com Reference Library is done so for educational purposes only. Greerink.Com is a reseller and distributor, and does not manufacture any supplements whatsoever. In addition the Greerink.Com Reference Library does not dispense medical advice, prescribe, nor does it diagnose any illnesses whatsoever. The benefits of non-Rx and dietary supplements vary from person to person. If you are pregnant, nursing, taking medication, or have a medical condition, consult with your doctor before using any supplements. If you experience a negative reaction from taking any supplements discontinue use immediately, and if symptoms persist seek medical attention. Keep all non-Rx dietary supplements out of reach of children and store all products in a cool, dry place with lids tightly closed. Do not use if seals are broken. In addition, we encourage that you to consult with your personal physician regarding the suitability of any product with respect to your current symptoms, or pre-existing medical condition, or conditions before beginning the use of this or any other product.